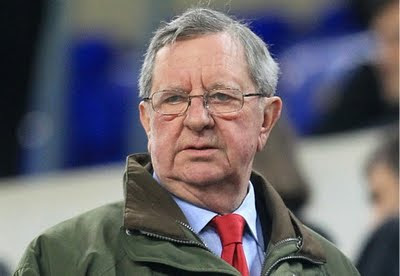 Arsenal Football Club this afternoon issued a statement following comments made by Chairman Peter Hill Wood to the Daily Star. "They are in danger of us becoming less friendly with them. "We haven't yet, but I am just saying we could become less friendly." He made the comments after the Arsenal Supporters Trust issued a statement which said there was "considerable disappointment" amongst Arsenal fans after the club had been eliminated from the cup competitions and the fact the club has "gone without winning a trophy". "We have always had a uniquely strong working relationship with AST and other supporters' groups and this is important to us. "Our fans are at the heart of what we are here to do and that will always be the case." It's good that someone at Arsenal recognises how important supporters and their representative groups are to the club. Without fans there is no football club and Mr Hill Wood should remember that. Whilst I believe the AST statement was ill timed, I cannot disagree with the contents of it. Whist there will be criticism of the club whilst it goes through baron periods, no Arsenal fan takes pleasure in voicing concerns. Every voice has a right to be heard and the chairman needs to recognise that a small proportion of fans are very unhappy with current events. However with eight games to go, Arsene Wenger and his side needs our full support when we still have a possibility of winning a trophy, however slim that chance might be.